, Natural Soaps, which we stock at Giles Gallery. 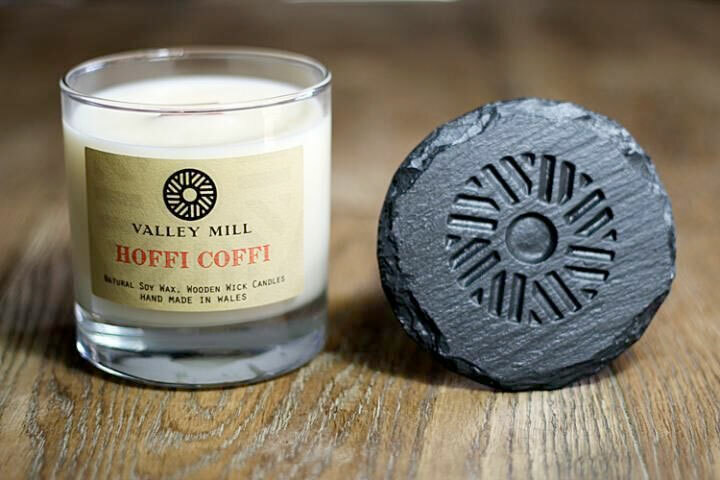 Scents of candle include ‘welshcake’, ‘roast chestnut’ and ‘Hoffi coffi’, to name but a few. Including a beautifully crafted slate lid that doubles as a coaster, they also use a wooden wick, better for enjoying and providing a comforting sound as it burns. These products have proved as popular gifts, and, having purchased many myself, I recommend the ‘Bara Bryth’ as a little treat for yourself! All design work is carried out internally and all products are hand made using materials from Walesin the valley of Crynant. To receive early notifications of forthcoming exhibitions, private views, and workshops click here to subscribe to our mailing list.